The AMI series combines a variety of temperature-programmed techniques, including: temperature-programmed desorption (TPD), temperature-programmed oxidation (TPO), temperature-programmed reduction (TPR), and temperature-programmed reaction (TPRx). The AMI family can also perform pulsed chemisorption in a dynamic flow system and dynamic BET. 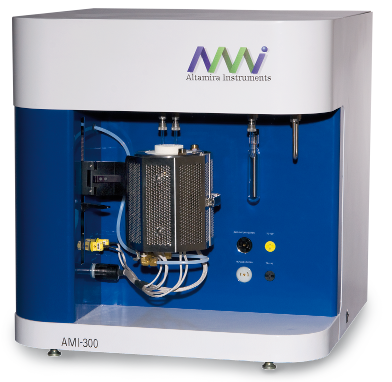 The AMI family includes high-pressure instruments with the AMI-300HP; sulfur resistant models with the AMI-300S, and the new AMI-300ir for direct determination of adsorption/desorption surface process. Experimental conditions are fully programmable and up to 99 consecutive treatments and/or analyses can be strung together for completely unattended operation. Single or multi-station instruments for high sample throughput are available. Measurement cells Quartz u-tubes, bulb cells, monolith cells etc.